expressed purpose of helping others to better understand and appreciate the Bible, and thereby deepen their faith in the sacred text and in the God who gave it. We want everyone to know that when they read about places like Beersheba, Jericho, Jerusalem, Caesarea, and cities surrounding the Sea of Galilee, that those places exist just as the Bible describes. Each documentary ends with a faith lesson designed to both instruct and encourage the listener. Bible Land Passage Studies Program – Bible Land Passage Studies Program (Passages) is a ministry designed to serve the educational needs of members of the churches of Christ (and their friends and relatives) who wish to travel to the Bible Lands. We are a group of volunteer Christians committed to glorifying Christ and edifying others through the power of the gospel. Our aim is to help others grow in their relationship with Christ while assisting them in their understanding and appreciation of the historical and geographical settings and background of the Bible. We believe that a tour and study of the Bible Lands is unique, exciting, and encouraging. Walking in the steps of the great heroes of faith identified in Hebrews 11 is both rewarding and transformative. 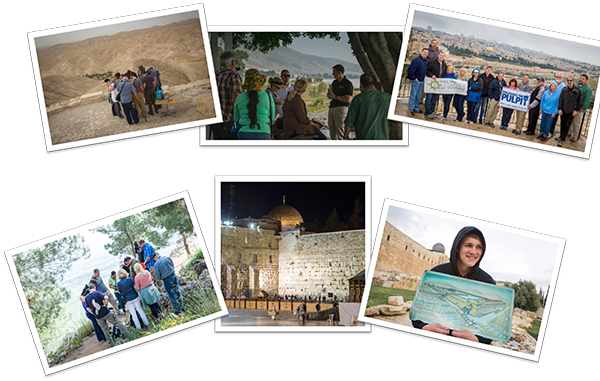 Examining the evidence and experiencing the reality of the Bible lands will serve is uplifting and rewarding. G. Ernest Wright wrote, “Geography, history, and religion are so inextricably bound together in it [the Bible] that the religious message cannot be truly understood without attention to the setting and conditions of the revelation.” (Westminster Bible Atlas). The Passage studies program presents helpful insights and information to enlighten participants about the historical, cultural, and geographical settings of the Bible stories and precepts. 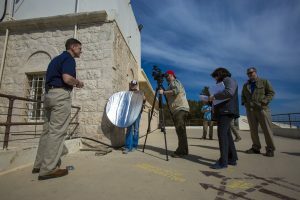 Both written and video content, and on-site study in the Bible Lands presented in this program will help bring the Bible to life, as well as serve as a springboard for personal development and spiritual growth. The Bible story and its message of salvation are connected to a real place and in a real time in history. Its reliability and credibility is therefore dependent upon evidence that corroborates its claims. New Testament scholar C.H. Dodd said, “Some religions can be indifferent to historical fact, and move entirely upon the plane of timeless truth. Christianity cannot” (History and the Gospel). Passages is dedicated to showcasing those historical facts through a carefully planned itinerary and course of study for observation and analysis.